Should you share data of threatened species? Scientists publishing locations of rare species have been blamed for helping poachers drive them to extinction, such as the local extinction of the Chinese cave gecko. But an international group of scientists lead by Dr. Ayesha Tulloch from the University of Sydney and the University of Queensland believes that data publishing is important to help many species. "Species, like Australia's tiny grassland earless dragon, have received greater environmental protection because published data was available to show that they were in trouble," said Dr. Tulloch. "The challenge is to share data in a way that avoids perverse outcomes such as local species extinctions from human exploitation. "It is undeniable that in some cases, poachers have used published data to hunt down rare animals for the illegal wildlife trade. "And even well-meaning people like bird watchers and sight seers can sometimes do damage when enough of them trample a patch of habitat." "Which is why scientists and conservationists have continually called on location data to be turned off in nature photos to help preserve species." "But stopping all data publishing is not the answer. Data publishing has also led to improved protection and conservation for many species. "Good data helps conservation managers know where action is needed." Dr. Tulloch—whose affiliations include The Centre of Excellence for Environmental Decisions and the Threatened Species Recovery Hub of the National Environmental Science Program; and the Desert Ecology Research Group—said sharing data takes a balanced approach. To address the challenge Dr. Tulloch collaborated with scientists from nine organisations to design a framework that helps researchers and conservationists choose how to share sensitive data. "A key aspect is identifying whether poaching, illegal trade or disturbance from eager spectators really poses a real threat which can't be managed. 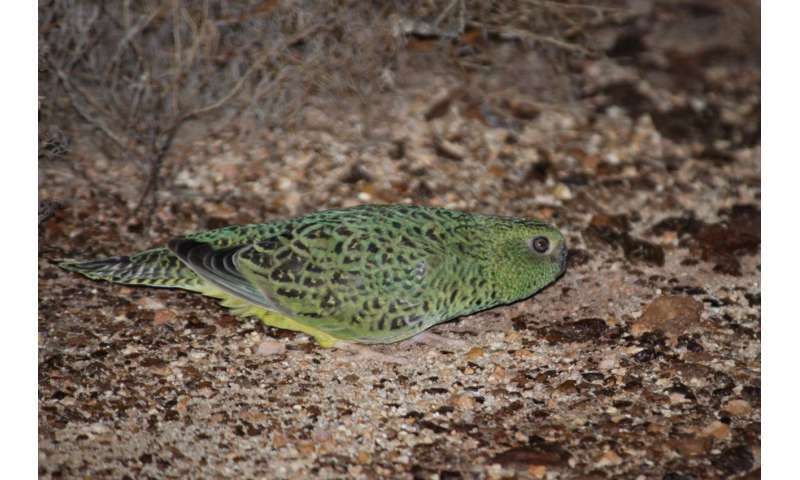 "Then there are a number of ways you can deal with that data, such as only showing locations in 100km grid squares, that could allow it to be published without putting those species at risk. "The sharing of species information is here to stay," said Dr. Tulloch. "Being clear about the pros and cons of making the data public will ensure that species are not put in more danger from new data being out in the public domain." The authors of this paper are from the University of Queensland, Wildlife Conservation Society, the University of Sydney, Birdlife Australia, the University of Kansas, CSIRO, Terrestrial Ecosystem Research Network at the University of Adelaide, NSW Office of Environment and Heritage, and the Australian Museum.